A few days have passed since we arrived back home after spending eleven weeks on our journey from Finland to Norway and back. It has been interesting to go through the logbook, think back to our sailing journey and calculate some key figures of this trip. During the 11 weeks, s/y Dolphin Dance travelled the total of 1972 nm in 60 sailing days. This makes an average of 33 nm per day. We spent totally 422 hours at sea and our average speed was about 4,7 kn. The engine logged 200 hours and thus we travelled about 220 hours under sail. When going southwest along the east coast of Norway, we had to use the engine quite a lot since the wind was mostly against us. 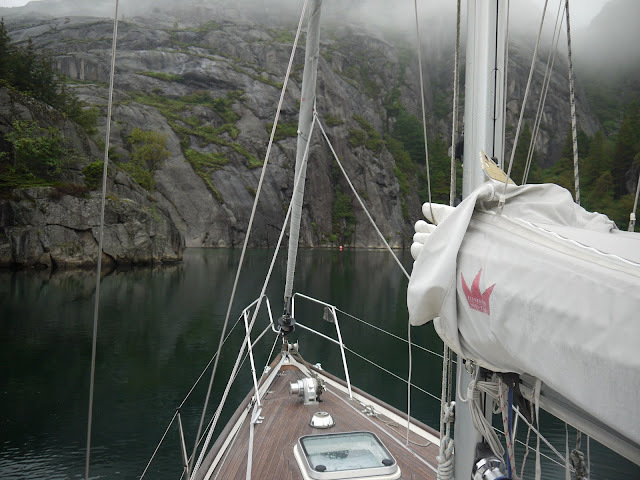 Our initial plan was to sail up to Stavanger and Bergen in western Norway. However, the weather conditions in mid-June were not on our side and there was about two weeks period of strong westerly winds. We had planned to go via Limfjorden in Denmark, but due to the winds, we chose to head for the Swedish west coast instead. In fact, during these two weeks, there was only one day when the Skagerrak crossing could be made without beating against +10 m/s winds: on 22nd of June wind turned to south-southwest and we could make a fast and rather comfortable crossing to the Norwegian side of Skagerrak. However, we were late from our initial schedule so we decided that it is better to leave Stavanger area for the future expeditions and spent the time exploring the southern Norway instead. 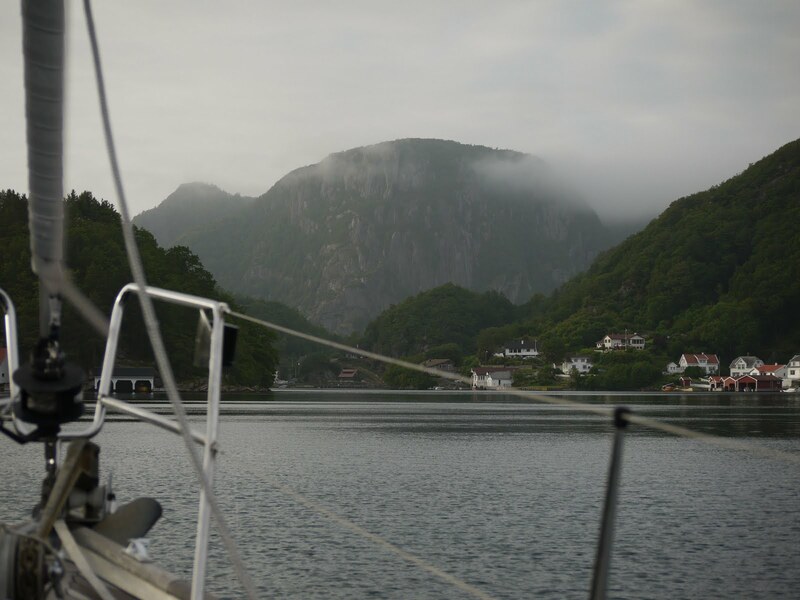 Thus, Egersund was our turning point and furthest place that we visited in Norway by boat. We spent four days there waiting for the strong winds to calm down. In the beginning of July, when coming back from Egersund, there was a period of mostly light winds and this gave us a good opportunity to explore the area around Hidra island in the exposed south coast of Norway. Our return journey from Lillesand to Copenhagen was mostly good sailing in fresh winds. After Copenhagen winds got more variable and we had to rely on our Volvo Penta more often. The most tiring leg was probably from Bornholm to Utklippan; although it was only 9 hours of sailing at good speed, it felt a lot longer due to the pouring rain. 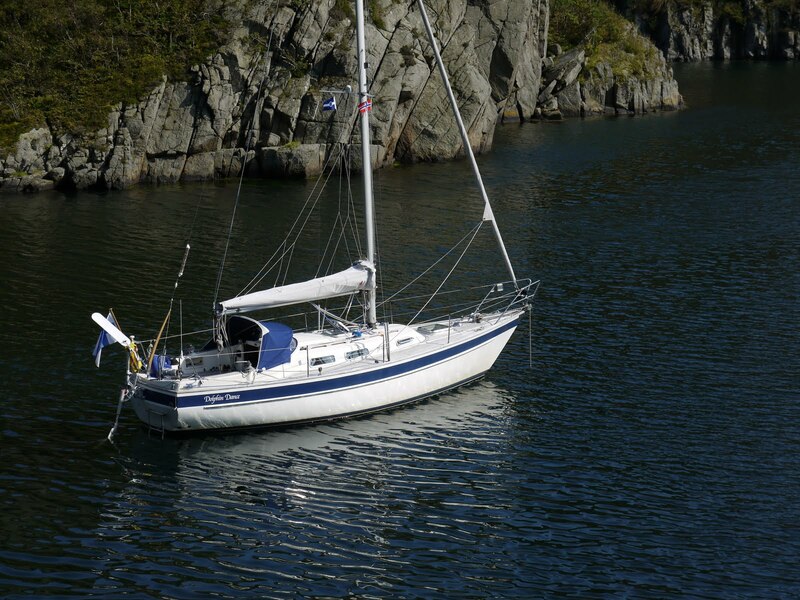 In Kalmarsund winds turned to north and then calmed for many days, and thus we had to motor again quite a lot. 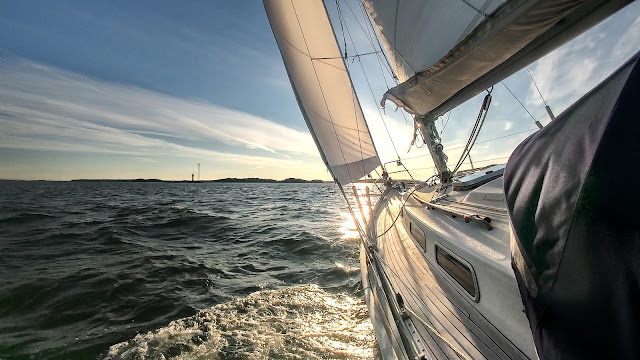 The longest leg from Öland to Nynäshamn was mostly motoring, but after that we enjoyed many days of the best sailing weather during this trip. Our actual route from Finland to Norway and back. 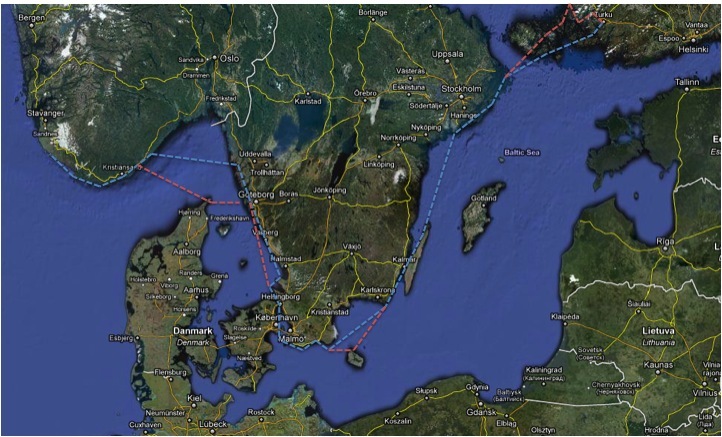 Blue line is our route to Norway and the red line is for the return journey (when there was difference). In general everything worked well and Dolphin Dance took good care of us. We had the biggest drama already on the first day of the journey, when the rudder shaft box started leaking. Fortunately, after adding petroleum jelly (vaseline), it remained watertight for the rest of the journey. I also added vaseline into the stuffing box a few times during the journey. 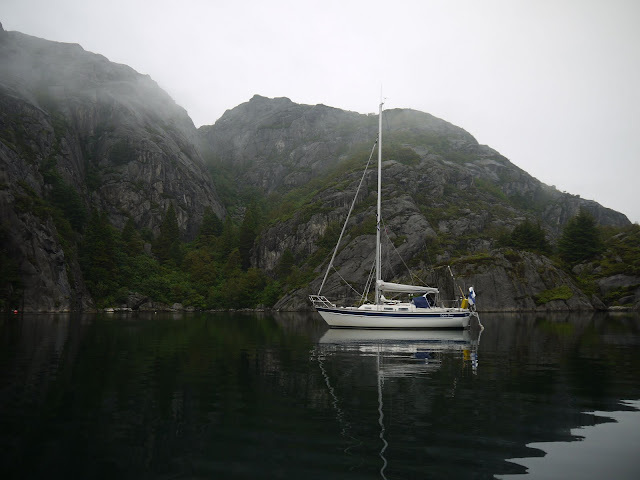 We also found an underwater rock in Norway when leaving a wild anchorage in Blindleia. Next week the boat will be lifted up for an inspection so more information on that later. In general, HR 29, having been designed for the conditions of the North Sea, performed very well. Although being a rather small boat, she grows bigger at sea. With a displacement of about 5 tons and deep v-shaped hull, she takes waves very gently and the movement, in general, is comfortable. The hull is cleverly designed so that the spray from waves rarely reaches cockpit. 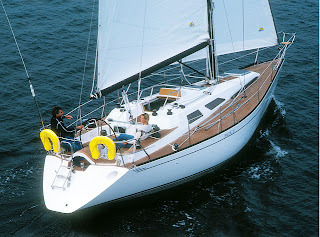 Also the sprayhood gives good protection and often the cockpit remains completely dry when sailing. Not once was the cockpit flooded with seawater, but in Norway this was pretty close as at one time we heeled heavily due to a gusty wind. Fortunately, high cockpit coamings kept the seawater away from the cockpit. Skeg hung rudder is large and has a very good holding. 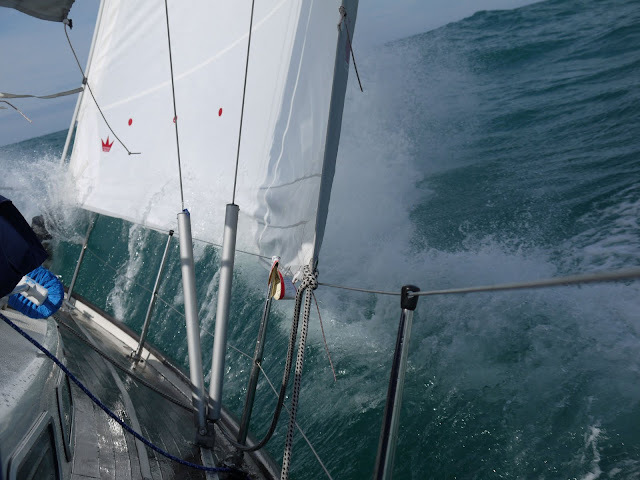 I have never broached with this boat and this is one of the things that I most like in HR 29: you feel that the boat is under control even in stronger gusts and high seas. However, we always tried to reef down rather earlier than later and did not push the boat to her limits. Thank you for sharing your journey with us, I'll definitely miss your updates. Enjoy being back home and keep posting, I'm looking forward to it.